My grandpa had been a runner. He had run sprints and relay races. In his youth he had been an Olympic Torch Bearer, carrying the eternal flame on its way to the Games. The event he had admired the most was the marathon, the pinnacle of athletic achievement. He had told me the legendary story of the Greek soldier Pheidippides, who had run from the Battle of Marathon to Athens, carrying the message of victory, only to drop dead from exhaustion on arrival. The marathon had taken on a special, almost mythical, quality for me. It was something only top athletes would ever pursue. 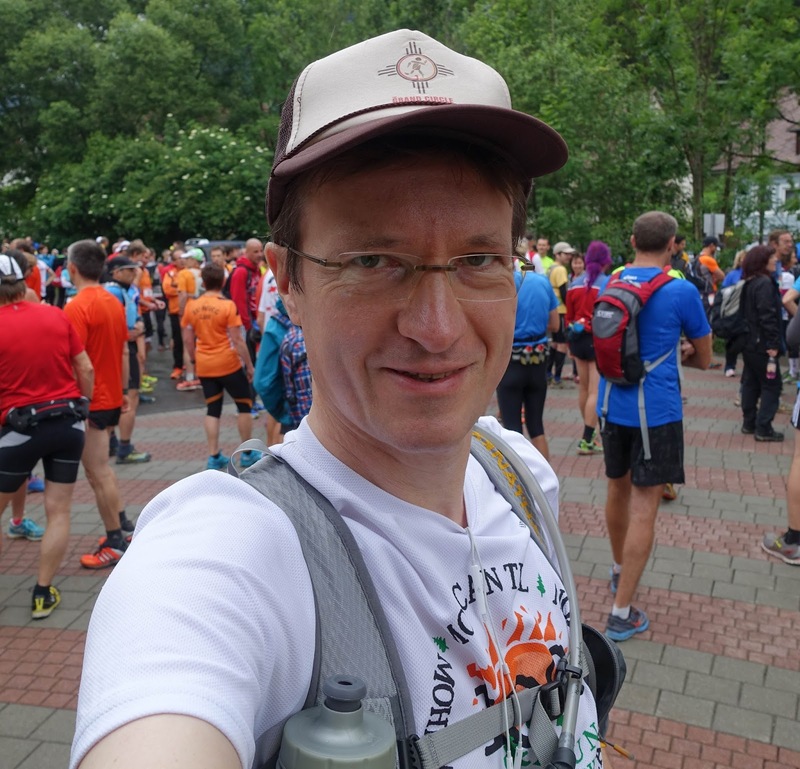 I was astounded when, some 25 years ago, I first heard of a new and extreme kind of marathon race near the place at which I had graduated from high school. 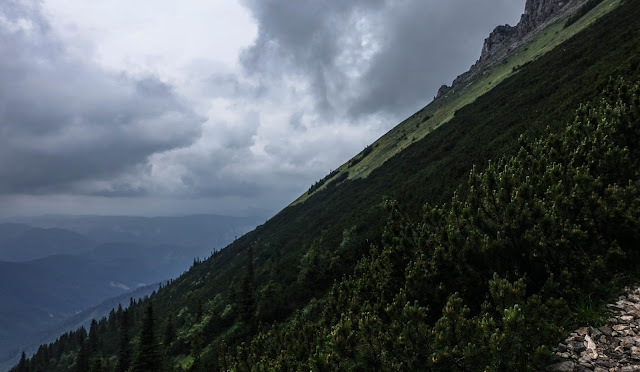 Spanning 54 kilometers, it was even longer than a regular marathon, but even more bewildering was the fact that it was a mountain race, run on narrow hiking trails laden with rocks and roots. Every parent had always told their kids not to run on such trails. 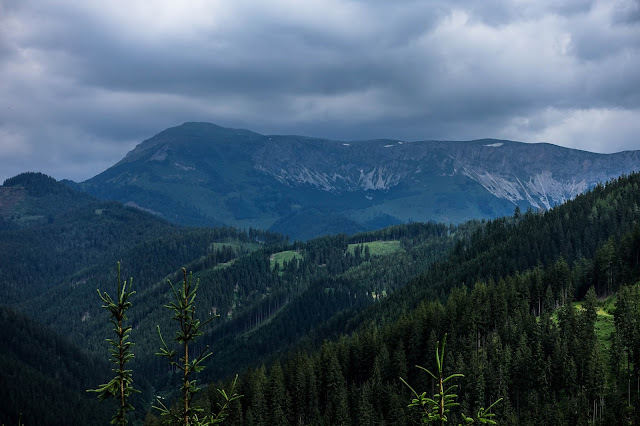 The start and finish were at the bottom of the valley, and the course led to the top and across the “Hohe Veitsch,” one of the tallest and most rugged mountains in our region. I was not aware of any other mountain race anywhere else. I also did not know anyone who might be brave, tough, and insane enough to run straight up and across the mountains. Clearly those would have to be some kind of crazy, special, super-human people. I was not able to relate to them. And I most definitely did not consider the possibility that I might one day become one of them. Obviously, many things have changed since then. Distance running has become popular; nowadays about one in 1,000 people complete a marathon every year. And while ultra-distance trail running is still far less common – less than one in 10,000 people completed an ultra last year – it, too, has grown dramatically and become accessible to pretty much any able-bodied person who puts his or her mind to it. And so it happened that three years after I started to run at all, I surprised myself by entering the race that I had previously dismissed as ridiculous. At the start, I still felt some of the intimidation of yesteryear. I was particularly worried about the cut-off times, especially the one 32 km into the race. I had done the math based on my previous race performances and knew that failure to meet the tight timelines was not just possible but actually fairly likely. I also kept checking the weather report, which called for a cold front hitting the area in the afternoon. 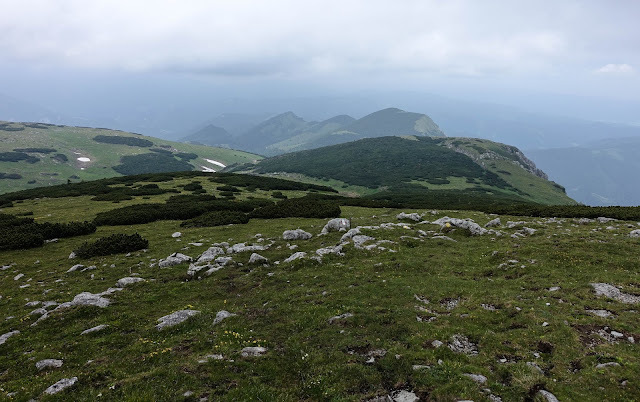 The race course led across a mountain range at 6,000 feet, an altitude at which weather conditions and visibility can deteriorate quickly and snow in June is a fairly common occurrence. I didn’t recall signing an elaborate indemnity waiver, but then again, this is Austria, where everyone (including the law) knows that participation is at one’s own risk. All of these thoughts were on my mind as the race director yelled “Los!” and the 150+ solo runners, as well as the first runners of about 100 relay teams, started to move through the village and towards the first climb. I quickly found my rhythm on a well-graded forest road. A fellow runner admired my hiking pole technique and I sheepishly admitted that I had only started to practice with poles a few weeks ago. My super-cushioned Hoka running shoes drew some attention as well. They are ubiquitous at trail races in the US, but here, they seemed to be a novelty item. I reached the first of many aid stations 5 minutes ahead of my most ambitious estimates and felt very excited that I had started to build a buffer against the cutoff. The next section of trail consisted of mostly rolling hills, and I continued to move well. 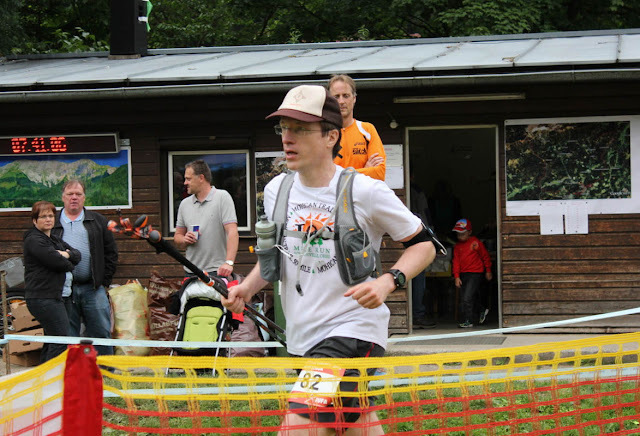 With each aid station, I was able to increase my buffer by a few minutes until I accumulated a safety margin of about 20 minutes at the bottom of Teufelssteig (devil’s ladder), 22 km into the race. Teufelssteig looked intimidating. 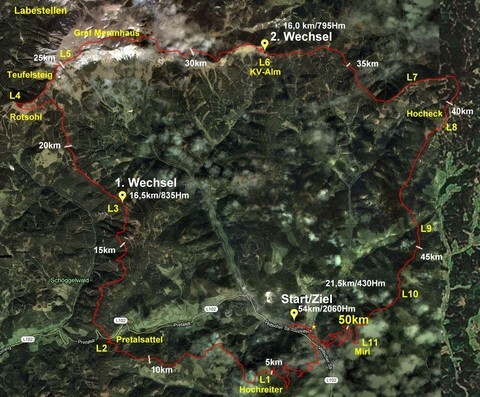 The trail went straight up the mountain, gaining 300m (1,000 feet) in just one kilometer. I was surprised to find that the climb took me less than 30 minutes. At the top, my safety margin had grown to almost 30 minutes. 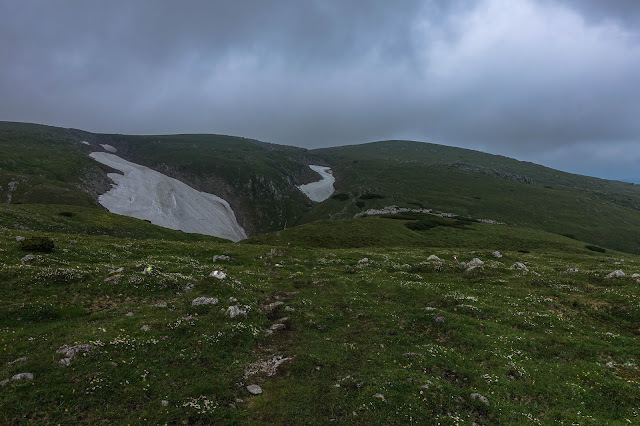 I was moving across the mountain plateau a few hundred meters above the tree line when dark clouds started to move in. The wind rushed across the barren landscape. Light rain started to fall. I stopped to put on my wind-breaker and warm gloves and hurried to get moving to generate body heat. Because the next section of the trail sloped downwards, I had assumed that I would make rapid progress. 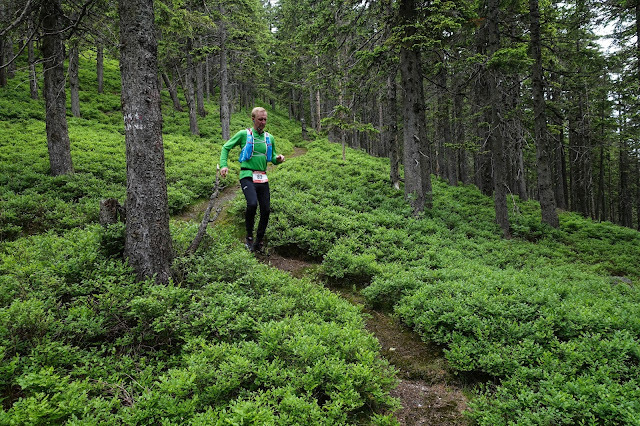 However, the terrain was the most technical of the entire course. Wet rocks made for difficult footing, and my speed dropped well below my expectations. Having previously felt safe about meeting the cut-off time, I caught myself checking my watch frequently, with increasing trepidation. A signpost for hikers indicated 1 hour until the next aid station, and I had about 45 minutes to get there in time. I tried to pick up speed, but the terrain was exceedingly difficult. I settled for power-hike pace and hoped that it would be fast enough. Around a bend on a narrow section of trail, I ran into a herd of cows. I decided I had no time to worry about them, and I just kept moving along, passing within one or two feet of the herd. Fortunately the cows minded their own business and decided not to care about me, either. One of my best moments in the race came when I made it to the cut-off station with 15 minutes to spare. A sad-looking bus waited to pick up less fortunate runners who would be missing the cutoff. I was relieved not having to go through the experience of sharing a humiliating ride back to the valley. From there, the trail dropped back below the tree-line. The wind was gone, and I felt instantly warm. Beautiful single-track through wild blueberry brush gave way to faster forest roads. I was on the last leg of the race, and with all cut-off times behind me, I knew that short of injury I would make it to the finish. But it wasn’t all downhill from there: steep descents alternated with steep climbs. Overall, I was moving at a better pace than expected. Aid stations seemed to pop up around every corner. They were always something to look forward to. Each aid station boasted a different selection of homemade cakes and cookies – by far the best aid station food I have ever enjoyed at any race. Austria is a land of cakes in which hobby bakers love to show off their craft. What’s not to like about that? 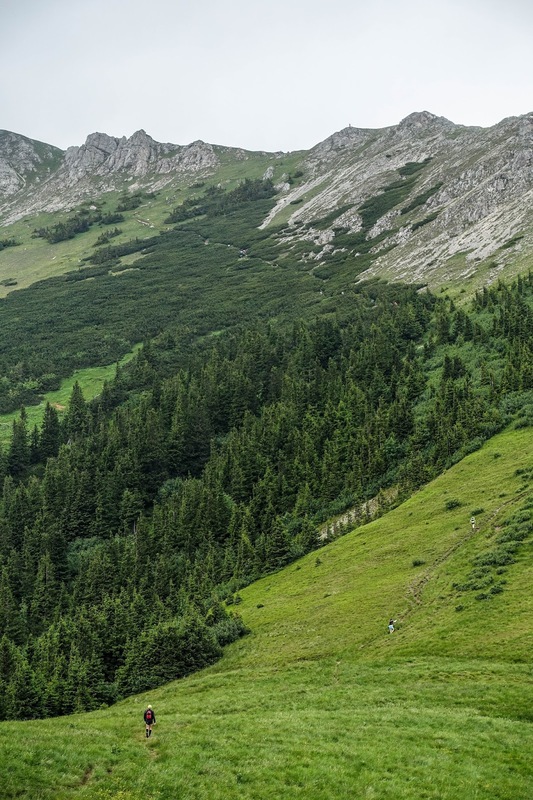 The last aid station featured a group of volunteers vigorously ringing a bunch of different cowbells, creating a great atmosphere that could be heard and felt for miles. What a great motivator! I credit them with making my last few miles the fastest of the entire race. 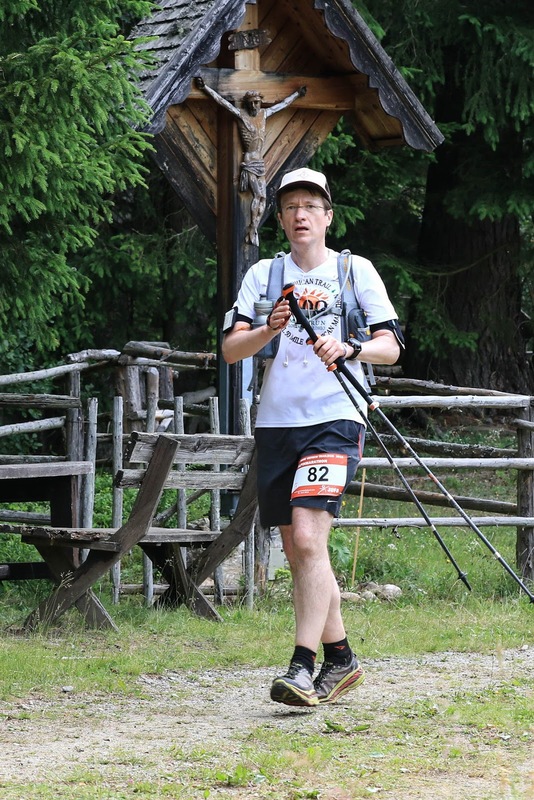 I even passed a few other runners on the final stretch and reached the finish line in 7 hours and 41 minutes – a great result for me on what was by far my most challenging 50k thus far. I felt a special sense of accomplishment having conquered the course that I had thought was only for the crazies. My grandpa would have been proud. I like to move silently through scenic spaces. On foot, on a mountain bike, on a recumbent, in a glider, on a sailboat. I don't like roaring engines. Exactly. Harleys are noise pollution.